A picture courtesy of my sister Imke as that’s me in the picture. This is near Ardnave (you can see Killinallan farm on the other side of Loch Gruinart in the distance), where we went for a short walk along the shore. Here I’m trying to take a picture of a Tern (at least that’s what I think it was), but there were a variety of birds in the area. We also heard a Corncrake in the area, although we never managed to see it. 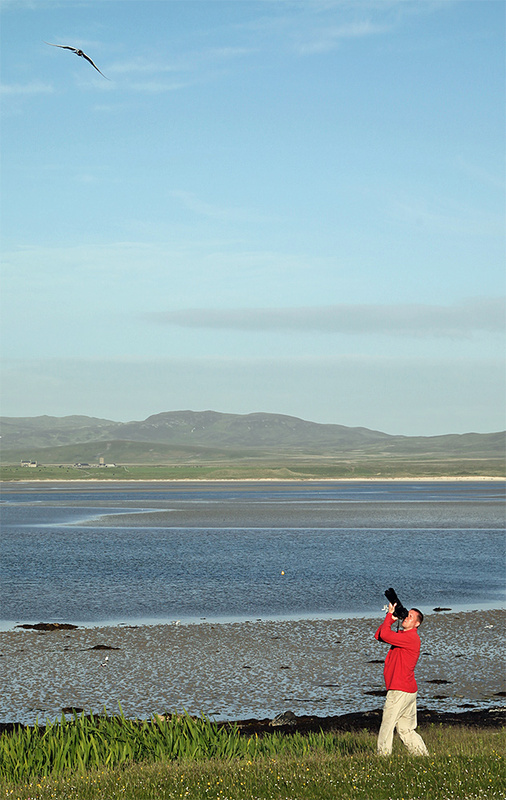 This entry was posted in Beaches, Guest Picture, Landscape, New Post, Sea Loch, Sunny Weather, Wildlife and tagged Ardnave, Islay, Killinallan, Loch Gruinart, Tern by Armin Grewe. Bookmark the permalink.